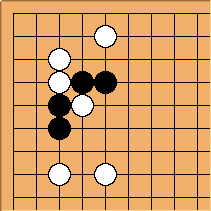 Li Chang Ho Jingjiang Weiqi Shoujin (Li3 Chang1 Hao4 Jing1 jiang3 Wei2 qi2 Shou3 jin1) (李昌镐精讲围棋手筋) (Lee Chang Ho's Selected Tesuji Go Problems) is a set of six Chinese language go books. Each of these volumes includes 123 tesuji problems. Each problem is presented on one page with the answers on the flip side of the same page. Each problem and answer is presented with accompanying Chinese text. 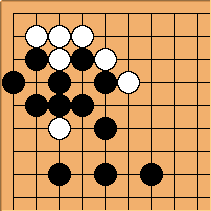 The problems are arranged in groups concentrating on a single tesuji. The books contain only Chinese, no other language whatsoever. However, learning only three Chinese ideograms (?) 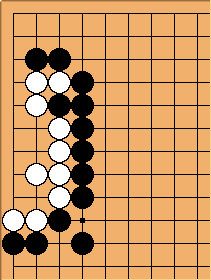 allows one to read the first part of the heading for each problem: Black first, or White first . Not knowing more Chinese may be a benefit to the reader as the problem accompanying the text often contains hints as the nature of the solution or the critical point of the same shown. One complaint regarding these books is the thinness of the paper used. It is possible to see some portion of the answer diagrams through the page. A largish bookmark can be used to block out the non-printed part of the page presenting the problem and thereby hide the reverse image of the answer. Volume 2: ISBN: 7-8105-1566-7 Snapback and Shortage of liberties problems. 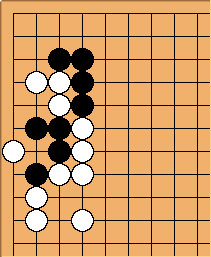 Endgame (收官 Shou1 guan1) 29 problems. 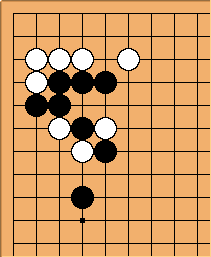 Escape (脱险 Tuo1 xian3) 10 problems. 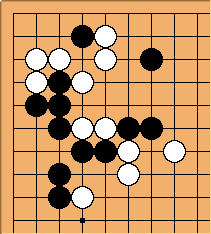 Endgame (官子 Guan1 zi3) 42 problems. 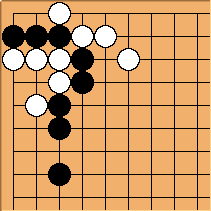 Many of the Attack problems are how to punish deviations from joseki. (See example below.) They are some of the hardest problems in the series. DanSchmidt: The second half of Volume 2 (particularly from problem 80 on) also contains many elementary connecting and splitting problems. 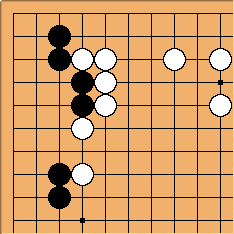 Each answer diagram is accompanied by a headline and text in Chinese. Recognizing a few Chinese phrases is useful. Generally, the problems in the later volumes are harder than those in the earlier volumes. However, xela thinks that volume 2 is a bit easier than volume 1. 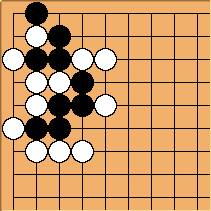 Actually, every problem in these books is black to play first, so you don't need to know any Chinese at all. 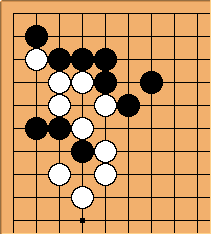 But for reference, take a look at Basic Japanese for reading go books (at this basic level, the Chinese characters mostly look the same as the Japanese).